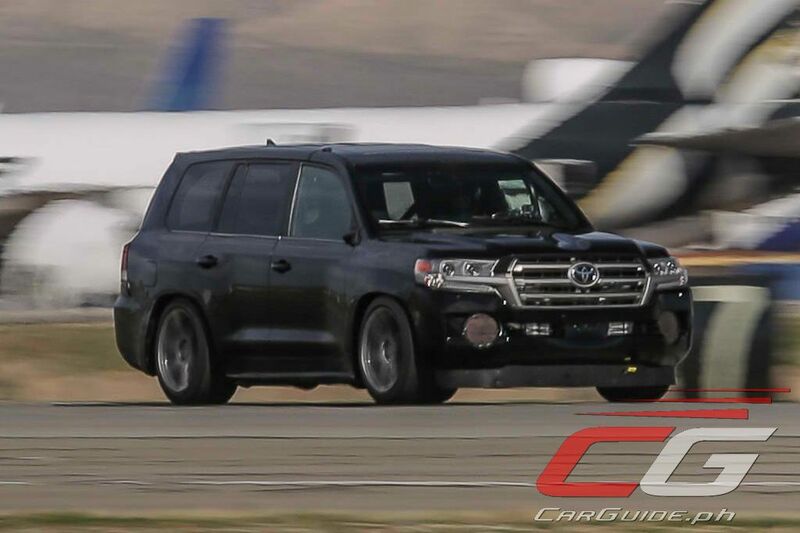 It look 2,000 horsepower to do it, but the Toyota Land Cruiser officially earned the title of “World’s Fastest SUV” after clocking in 370 km/h (230 mph). It shattered the record by more than 30 km/h (19 mph) as verified by GPS and video before running out of usable pavement. With enough track, this special “Land Speed Cruiser” could be expected to go even faster. 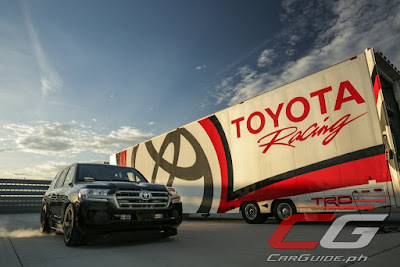 The Land Speed Cruiser which was shown originally at the 2016 SEMA Show was heavily modified by a team of engineers at Toyota’s Motorsports Technical Center or MTC. 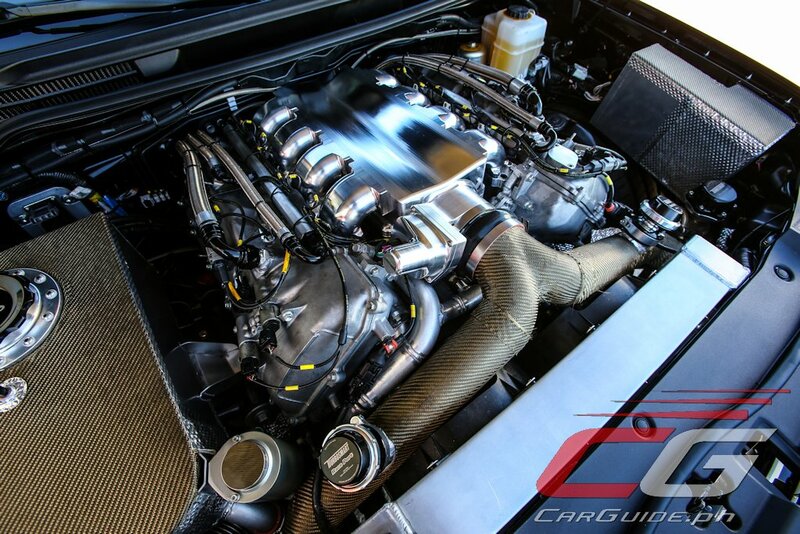 Using the Land Cruiser’s production 5.7-liter 3UR-FE V8 engine as a starting point, the team added a pair of volleyball-sized Garrett turbochargers that are capable of producing up to 55 PSI of boost. To cope with extreme force induction, the MTC team upgraded the engine’s internals with sturdier pistons and rods and a custom-made intake manifold, among other key items. This helped ensure the monstrous V8 could safely and reliably produce over 2,000 horsepower for its record-setting runs. The role of doling power was left to a custom racing transmission strong enough to withstand the stresses and abuses of high power and tremendous speeds. However, building the engine was the easy part. Driving in excess of 200 mph challenges a vehicle’s aerodynamics and stability. To aid controllability, the Land Speed Cruiser sits lower to the pavement, thus dramatically reducing the amount of turbulent air allowed to pass underneath. Its frame received some massaging in order to maintain optimal suspension geometry, and was narrowed by 3 inches to accommodate wider Michelin Pilot Super Sport tires. 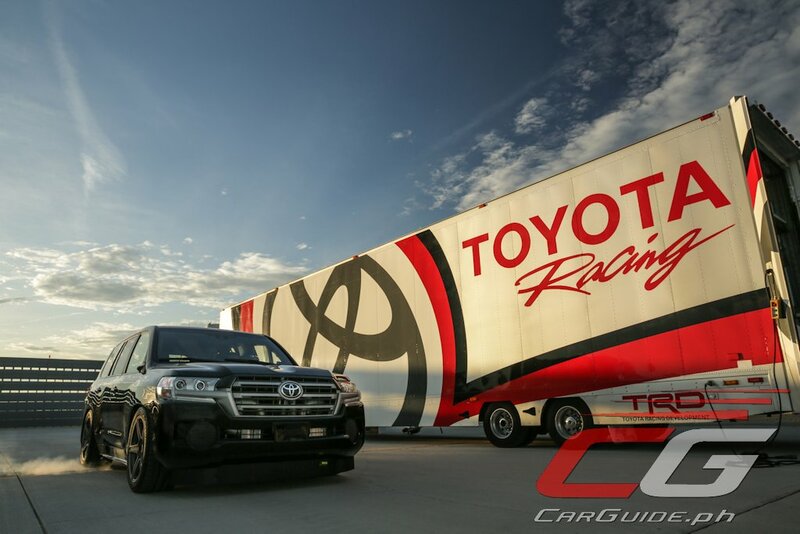 Test driver and championship road racer Craig Stanton played a key role in fine tuning the Land Speed Cruiser’s setup at Toyota’s Arizona Proving Ground (TAPG). His input was translated into tactile changes made by MTC’s engineers. With the Land Speed Cruiser dialed in and finally ready for its record-setting run, recently retired Toyota NASCAR driver Carl Edwards met the team at Mojave Air and Space Port in Mojave, California. In addition to being one of the very few places in the U.S. where supersonic flight is allowed, it features a two-and-a-half-mile paved runway perfectly suited to the Land Speed Cruiser’s mission. Prior to Edwards’ run, Stanton warmed up the SUV, moving it along at a hefty 318 km/h (198 mph). On his first run, Edwards was able to hit an awe-inspiring 339 km/h (211 mph), but found himself running out of pavement to slow the big SUV. More boost was then dialed in to up the power, and he tried again. The next run proved to be the most impressive. Edwards put the hammer down, and piloted the Land Speed Cruiser to its jaw-dropping 370 km/h (230 mph) record.